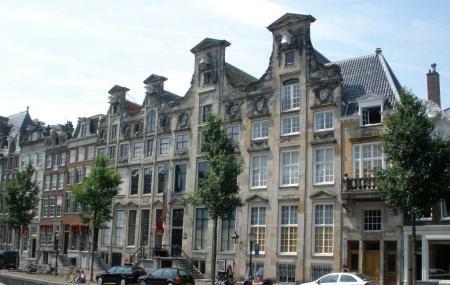 Bijbels Museum is known well among locals and tourists for its collection of Judeo-Christian traditional artifacts and relics. The museum is one of the best to visit if you want to know more about the religious aspect of the destination. The destination offers a collection of Bibles and other religious objects from the era. So visit the destination and indulge in spirituality and history. The place also has the oldest bible printed in the whole of Netherlands. Take a tram from Amsterdam, Spui (NieuwezijdsVoorburgwal). Take a bus or tram from Amsterdam, Spui (Rokin). How popular is Bijbels Museum? People normally club together The Brown Cafes and Zuiderkerk while planning their visit to Bijbels Museum. Lovely collections of things that were amassed by wealthy Amsterdamers at different times. Don't bother about the Bible collection, though it's got many items from Egypt & Palestine, in addition to models & made up diorama. Check the café downstairs, with a nice little garden. I stumbled upon this museum while making my way to the Canals museum just up the road. You get to see how the wealthy in the Golden Age lived, as a bonus, there's a Bible museum on the third floor. The house is very ornate and houses collections of collectibles amassed by prominent Amsterdam citizens of the past. Lots to see and the included audio guide gives you all the info you need. I have also added photos of the Bible museum. Beautiful historic canal house with a stunning interior. Gives an insight into how people lived some 300 years ago. Also the relationship to the American independence is made there, president Adams was an acquaintance of the places’ owner. More details of the story are told in the museum. Next to this, it would also be a great place to go for a bite in the garden, very relaxed with multiple private corners. So if you have a museumkaart, it’s totally worth it to just go there for lunch. Lovely canal side house with displays of antique and modern art installations. Well worth a visit. Great cafe too.